Taurus is your opposite astrological sign, and there is a deep attraction between you two, even the possibility of marriage. Venus and Pluto, which govern the two planets, combine, thus inspiring independence, originality, unusual ways, and exceptionality. 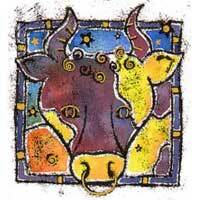 Taurus influences aspects of marriage, legal contracts, public affairs, partnerships and public relations. You are attracted to a native of Taurus as opposites attract, you are stubborn, and you cannot live neither together nor apart. 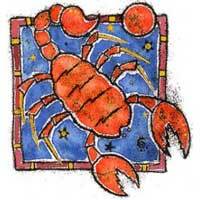 Alongside Taurus, you change your point of view, and begin to view life through his eyes. Taurus will appreciate luxury, beauty, because both of you are people full of passion: a love relationship can also be deep and meaningful. A partnership can be successful because you complete each other. If there are differences in opinions, better not solve them with anger, nor postpone them forever. You cannot force things with a Taurus, you must learn to be patient, otherwise such a relationship will not work. Alongside Taurus, you will embark on new adventures and projects, and will begin to act, feel, hear, see things and react like him. Because of that you could begin feeling dominated. Taurus will not change, both natives are stubborn, convinced that what's good for one of you is good for the other. If you want to forget the past and begin new and interesting experiences, Taurus is the right person that can do these things with you.